Gov. Greg Abbott and other state officials are largely silent on why they haven't fulfilled their vow to cut off funds to women's health programs offered to poor Texas women by Planned Parenthood. Feeding on outrage sparked by the release of controversial undercover videos of Planned Parenthood officials, Gov. Greg Abbott vowed one year ago to cut off $3.1 million in Medicaid funding that the organization's Texas affiliates receive to provide family planning and women's health care services to the poor. Because of its abortion services — which are separate from the health programs and receive no public funds — the organization is hardly an uncommon target of Republican rhetorical assaults. But Abbott's 2015 pledge was oddly timed. It came the same day a federal district court in Louisiana told that state it could not legally kick Planned Parenthood out of its Medicaid program. Although the same legal reasoning appeared to apply to Texas, Abbott quickly used the defunding pledge as fodder to solicit donations for his hefty campaign war chest. How much money the first-term governor raised off the issue is unclear. What is clear one year later, however, is that roughly 12,000 low-income women in Texas are still obtaining services from Planned Parenthood through the Medicaid program, which is mostly federally funded. And state leaders who spearheaded the charge to cut off funding have little to say about their failure to do so. “As Gov. Abbott has previously stated, the gruesome harvesting of baby body parts by Planned Parenthood will not be allowed in Texas,” Ciara Matthews, the spokeswoman, said in an email. There is no evidence that Planned Parenthood harvests fetal tissue in Texas, as claimed by anti-abortion activists. The flare-up began last year with the release of undercover videos filmed by the anti-abortion group Center for Medical Progress, which showed Planned Parenthood officials discussing the use of fetal tissue for research. Anti-abortion advocates claimed the footage proved the women’s health organization had improperly collected aborted fetal tissue. Planned Parenthood vehemently denied those claims, and there's been no evidence so far to prove any wrongdoing on the organization's part. But Texas Republicans used outrage provoked by the videos — and unspecified allegations of billing fraud — to begin the process of cutting off the $3.1 million in Medicaid funding Planned Parenthood receives for its Texas health care programs. That funding, about 90 percent of which comes from the federal government, pays for family planning and well-woman services for low-income women. Medicaid is the public insurance program for the poor and disabled. But after an initial feint at cutting off the money, the state has little to show for it. Abbott, who generated national media attention and launched fundraising emails over the issue, still expects “the appropriate authorities to move forward in eliminating taxpayer funding for Planned Parenthood,” his spokeswoman said. Meanwhile, Texas Health and Human Services Inspector General Stuart Bowen, an Abbott appointee and the state official who led the move to defund the women’s health organization, faces an uncertain future as the state’s top fraud investigator, as his appointment expired in February. A spokesman for the governor declined to say this week if Bowen would be reappointed. Planned Parenthood is by and large keeping its head down, continuing to provide services as the initial political hullabaloo has faded. “We remain committed to ensuring that every person has access to the health care they need, despite every obstacle in our path and sustained attacks on women's health,” Sarah Wheat, a spokeswoman for Planned Parenthood of Greater Texas, said in an email. Though the governor appears to have given up drawing attention to the Medicaid fight, his administration has pursued other avenues of targeting the provider. Last year, health commission officials adopted guidelines to prohibit entities even loosely affiliated with abortion providers, namely Planned Parenthood, from applying for contracts under the state’s Abstinence Education Services program. 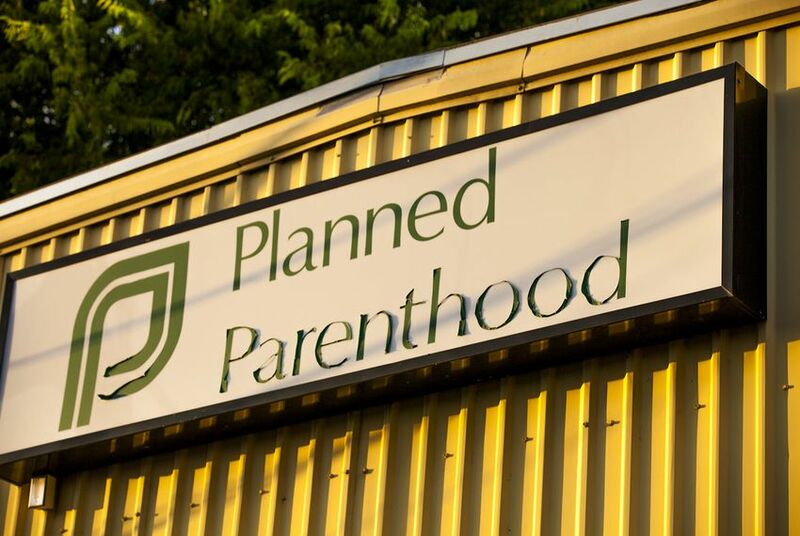 The state also declined to renew a Houston-based Planned Parenthood affiliate’s long-standing HIV prevention services contract, under which the women’s health organization served individuals with HIV in five counties in the Houston area. More recently, Texas health officials quietly proposed rules to require the cremation or burial of fetal remains. While the proposal affects abortion providers, it could also regulate hospitals and doctor’s offices where women might miscarry. In the Medicaid fight, the governor’s public relations campaign began the same day last year that state inspectors delivered a notice of intent to boot Planned Parenthood from the public insurance program. A press release that day from the governor’s office boasted the headline: “Texas Eliminates Taxpayer Funding To Planned Parenthood Providers.” The next day, Abbott was interviewed about it on Fox News. Texas gave Planned Parenthood 30 days to respond its notice and request an “informal resolution meeting” with health commission attorneys. If the organization did not act, the state said it would issue a “final notice of termination,” formally ending Planned Parenthood’s participation in Medicaid. That order would have gone into effect 15 days after the organization received it. But the state has never issued the final notice. Bowen, the inspector general, has made few public comments on the issue since. In a brief interview this week with The Texas Tribune, he suggested the decision to defund Planned Parenthood was temporarily out of his hands while a Medicaid fraud unit at the attorney general’s office pursues a separate investigation into the women’s health organization. “The case is with the attorney general’s office,” he said, adding that it was "not unreasonable" for such investigations to take up to 12 months. A spokeswoman for Attorney General Ken Paxton declined to say if the fraud control unit had ever received a referral of the case from Bowen’s office, but she said state and federal regulations require the inspector general to refer all cases of suspected fraud. Still, spokeswoman Kayleigh Lovvorn said it was not up to the attorney general’s office to decide whether Planned Parenthood continues to receive Medicaid funding. “Any decision to remove a provider from Medicaid, regardless of the reason, is at the discretion of” the Health and Human Services Commission, she said. It appears the inspector general’s delay in issuing the final termination of Planned Parenthood’s Medicaid contract is out of line with the agency’s previous practices, according to a Tribune analysis of similar notices sent to other Medicaid providers. A request to the health commission for similar notices of termination in recent years turned up two similar cases in which Medicaid providers were kicked out of Medicaid roughly four to six weeks after the state initially threatened the action. That stands in stark contrast to how Planned Parenthood’s termination has been handled by the state over the course of a year. It remains unclear why Planned Parenthood has yet to receive the final notice, and the Office of Inspector General has declined to provide any details about its investigation. Meanwhile, a lawsuit Planned Parenthood filed to protect its Medicaid funding could soon see activity after idling for nine months. The organization last November filed suit in federal court seeking to block Texas’ efforts. At the time, it was thought that Planned Parenthood affiliates would be cut from the Medicaid program as early as Dec. 8, 2015. But because Texas has not actually defunded the women’s health program, the lawsuit had virtually no reason to move forward. When U.S. District Judge Sam Sparks considered the organization’s request for a restraining order, the case was left unresolved as they waited for the state to deliver its the final legal notice to defund the organization. On Wednesday, Sparks ordered a conference hearing between the state and Planned Parenthood for Oct. 26. Since 2009, Texas investigators alleged Planned Parenthood had wrongly billed the state nearly $1.7 million. But the state was not able to collect any of that money. Months after the release of undercover videos showing Planned Parenthood executives discussing the use of fetal tissue for research, Texas Republicans launched several efforts to investigate or curtail the organization that produced few results. Read The Texas Tribune's scorecard.